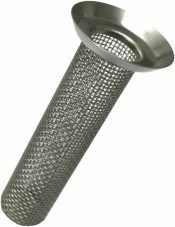 Filters, fittings, restrictors, strainers and other filtration components from Ejay Filtration are designed with the needs of specific applications in mind. 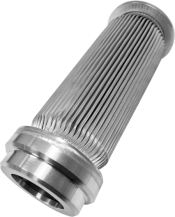 Close tolerances, a high level of durability and meticulous craftsmanship give Ejay Filtration products the performance that customers in aerospace and industrial fields require. 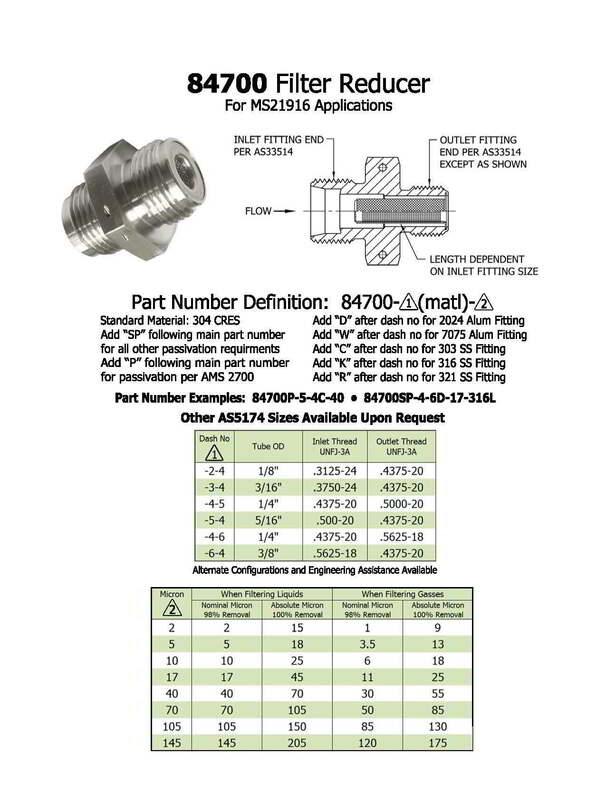 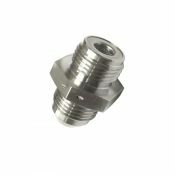 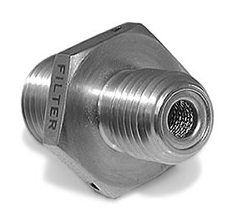 The 84700 Filter Fitting Reducer is made for MS21916 industrial applications. 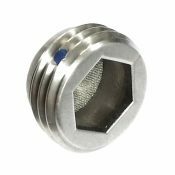 Ejay Filtration can help you select a filter fitting reducer with the proper sizes, filtration levels for liquids or gases, and fittings, or you can customize a filter fitting reducer to suit your needs.